Cannes Film Festival is about to begin in Cannes, France (May 17th-May 28th). Why is Samuel L. Jackson representing the USA on the 9 people jury? 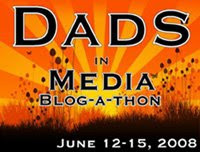 (Last year it was author Toni Morrison...and I kind of feel like Jackson and Morrison would vote on different films). Last year of all 22 films A History of Violence was the only Cannes Film to get any academy award nominations. Yet some films still had there own success like the French film Cache (with numerous other awards) and Sin City which made over 70 million in US Theaters and is currently ranked on imdb.com has the 60th best movie of all time...what movies will have post-Cannes success this year? The big movie people are talking about pre-Cannes seems to be Sofia Coppola's most recent effort Marie-Antoinette. This movie seems a lot like a Meroirs of a Geisha to me...I expect a lot of estrogen, and I really don't want Kristen Dunst to get an academ y award nomination...let her stick with nominations for the Saturn Awards (The Academy of Science Fiction, Fantasy, and Horror) for which she's been nominated 3 times (Interview with the Vampire, Jumanji and Spider-Man). Also speaking of Marie Antoinette...how did Jason Schwarztman get cast as a the French King, King Louis XVI? Richard Linklater has a big year with the artistic sci-fi film A Scanner Darkly and Fast Food Nation...a film playing at Cannes this year based on Eric Schlosser's best selling non-fiction book. Is this ensemble piece do with fast food what Crash did with racial prejudice? I wonder if Pedro Almodovar will garner as much recognition as he did for the bizarre coma-film Hable Con Ella with his new film Volver premiering at Cannes. For a list of the films in the 2006 competion is here. Jason Schwarztman is the Nephew of Francis Ford Coppola. That would make him the cousin to Sofia. I can't wait for "A Scanner Darkly." Keanu, Robert Downey Jr., Winona Ryder, Alex Jones ... it's gonna kick! Did you see "Waking Life" a few years back? Same rotoscoping technique. I really wonder about fgast Food Nation. It was a fantastic book and would have made a great documentary, but I really don't see how a narrative can cover the scope of the work. It covers decades upon decades of social history, science, technology as well as personal and corporate stories. While it may distill down to a core story there will be so much left on the floor. I thought that was George Clooney, until you said it was Pitt. 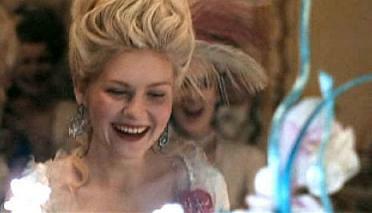 I'm looking forward to Marie Antoinette so freakin' much. Same for Volver. I can't wait to hear about how good Volver, Babel, and A Scanner Darkly are. 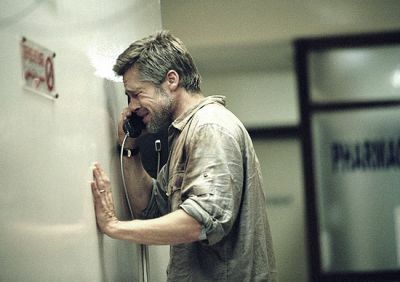 Especially Babel, as I really liked Amorres Perros and 21 Grams. I'm also curious about Marie-Antionette, but I've never been one for period pieces and while this one is going to be different obviously I'm just not so sure it is going to fly with me. I thought that was Clooney as well .. how weird .. I want Marie-Antoinnette to surprise me, but the casting is leaving me cold at the moment. I hope I am proved wrong on that one.